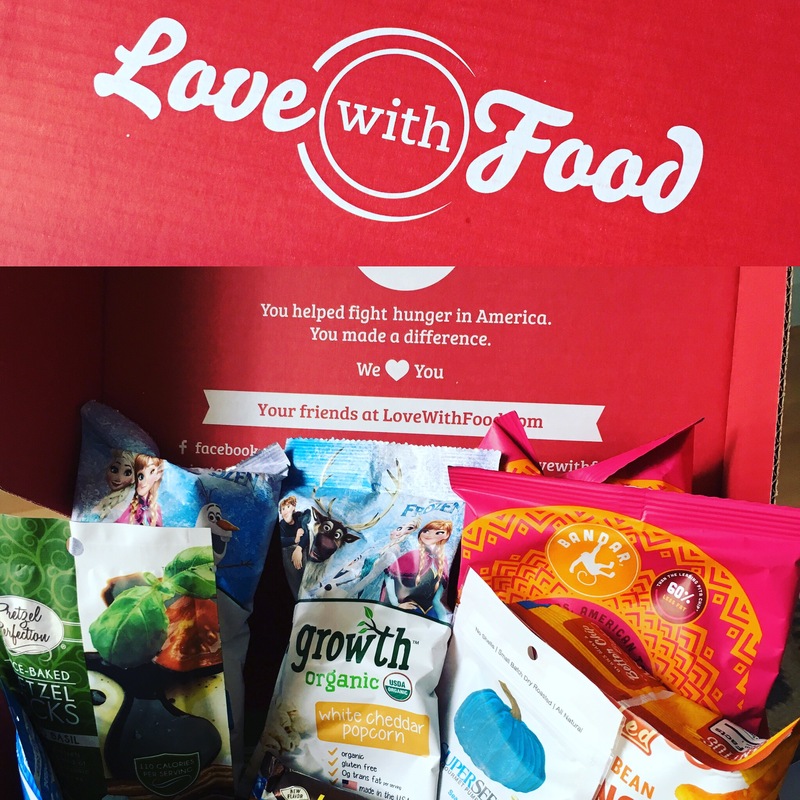 Ok I know I said I would be taking a break from writing, but a couple weeks ago I was approached by a company called Love With Food, a snack discovery service that just announced it will begin shipping to Canada on August 2nd, and they wanted me to share the good news, and I couldn’t say no. As a nutritionist, I promote the idea of real food and avoid packaged foods as much as possible, but I’m also a busy mom of two boys aged 2 and 2 months so I understand the need for healthy snacks that I can grab in a pinch for me and my toddler! The challenge these days is navigating the grocery isles and knowing which snacks are healthy. Love With Food takes the guess work out of choosing healthy snacks, and also provides variety because as most parents know, kids get bored of the same old snacks. The box included things like organic popcorn, roasted pumpkin seeds and healthy protein and power bars with ingredients like dates, walnuts and almond butter. 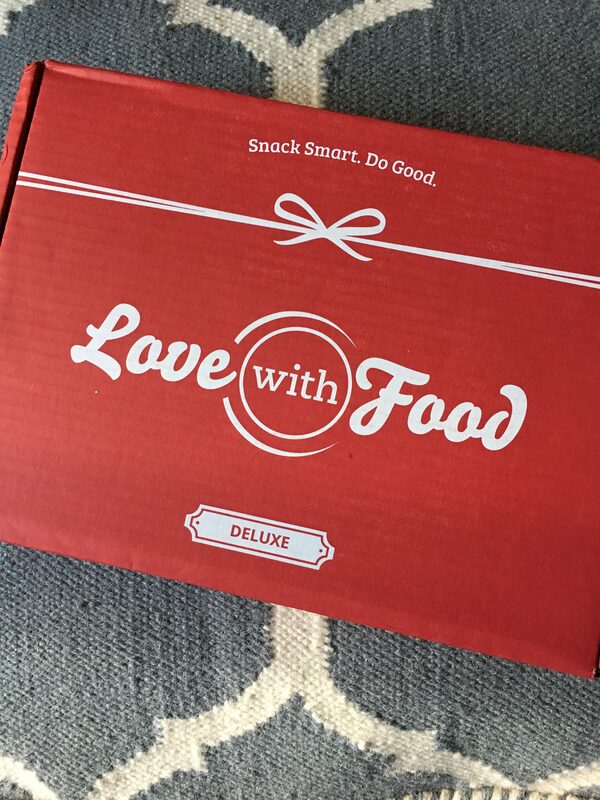 Love With Food is a snack discovery service that focuses on bringing affordable, all-natural, organic or gluten-free snacks to consumers on a monthly basis. There are different types of boxes you can purchase depending on the size of your family, allergies (there’s a gluten-free box) and if you’re in a home or office setting. The best part is that with every purchase, Love With Food donates to organizations like the Global Food Banking Network. To date, it has donated more than ONE MILLION meals to food banks. Canadian customers have the option to order The Deluxe Box, a sampling of 16-20 new surprise snacks starting at $16.50 USD/month, or The Gluten-Free Box, a sampling of 10-12 surprise celiac-safe and mostly dairy-free snacks starting at $19.99 USD/month. In addition, a portion of the proceeds will be donated to Canadian food banks to help fight world hunger. Love With Food is offering an introductory shipping cost of $3.99 for the first 5,000 international customers to sign up. To learn more about this tasty discovery service, visit www.lovewithfood.com.